The Spring Street garage provides convenient downtown parking offering 485 public parking spaces. The garage is located in the heart of the Central Business District and can be accessed from Spring Street or Sylvia Beach Way off of Wiggins. Smart Cards are accepted in the garage until April 30, 2019. Pay for hourly parking prior to returning to your car through the convenience of pay on foot machines located on the lower level of the garage by all main entrances. Payment can be made by cash or credit card. Credit card payment can also be made at the exit terminals when leaving the garage. Payment can also be made by using a credit card upon entering the garage in lieu of a ticket. Cash is not accepted at the exit terminals. As previously communicated, Smart Card holders are encouraged to use their existing balance in the Spring Street garage by April 30, 2019. If card holders still retain balances, we will allow for the transfer of the balance (to the Park Princeton mobile app), less an amount to be determined to compensate for the 10% bonus given upon purchase/refill (and an administrative transfer fee to recover the cost of the transfer). Card holders are advised that the card reading and transfer of balances are manual processes. More details regarding these processes will be provided near April 2019. Also, please be advised that there is a convenience fee of $0.35 that is debited for every parking transaction paid for through the Park Princeton mobile app. There are also two privately owned garages with public parking at 11 Hulfish and 25 Chambers Streets. 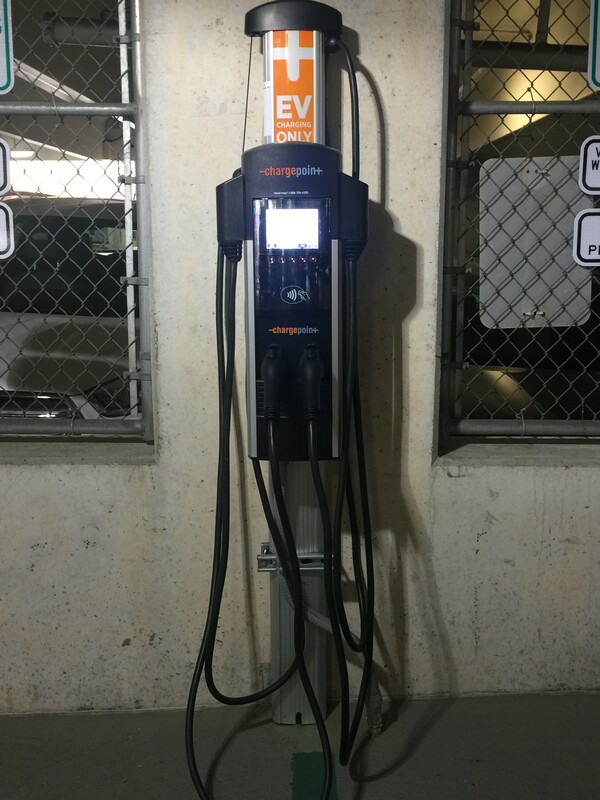 A dual-port Level II charging station is available for public use in the Spring Street Garage. The charging station is located on Level 1 near the Spring St. entrance and the garage management office. The station can service two vehicles. The spaces are restricted to electric vehicle charging only. Vehicles must be charging while occupying the space. Tap your ChargePoint card or your phone (you must be signed in to the mobile app) on the station to start a charge. This will unlock the charging connector so you can remove it from the charging station. You can also tap the orange “Start Charge” button in the station information page in the mobile app. If you do not have a ChargePoint card or the mobile app, you can call ChargePoint toll free, 24 hours a day at 1-888-758-4398. A ChargePoint Support representative can initiate a charging session if credit card information is provided. 4 hours maximum charging from 8 a.m. - 12 a.m.